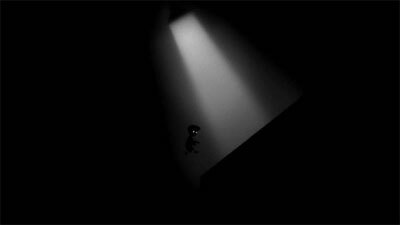 Limbo XBLA takes puzzle-platforming into the dark. 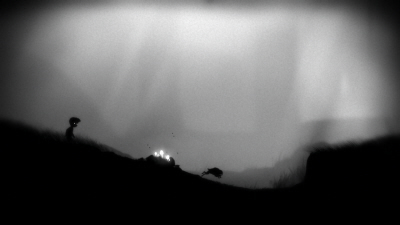 Brooding atmosphere and brevity make Limbo a mix of realised potential and a stilted vision. The opening half intrigued and terrified me in equal measure with a moving tale of a dead boy. But the latter portions felt forced as they resorted to puzzle mechanics rather than story telling and failed to keep its emotional and soulful edge. 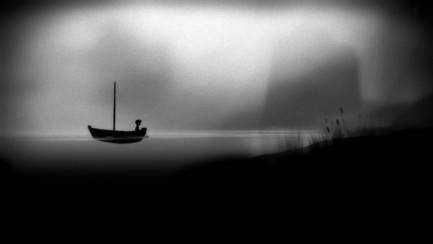 Limbo's beginning few hours were atmospheric. 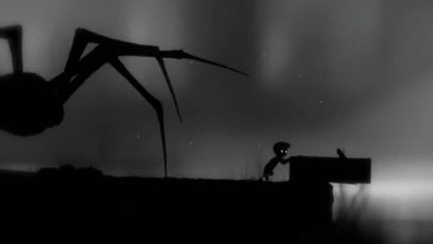 I hold a deep fear of spiders so the encounter, pursuit and conclusion of Limbo's opening section took my breath away with its creepy depiction of a giant, malevolent arachnid. 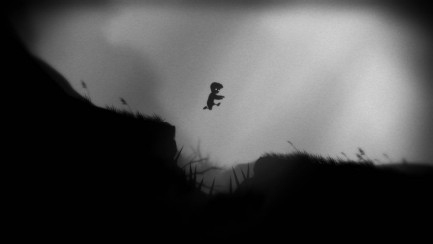 Playing as a young boy it was clear, not just from the black and white art-style, that this experience was taking place in some deadly other-world. The very name of the title suggests a setting between heaven and hell - of journeying over the river of the damned to reach judegment. As such the opening sections seemed to convey the boy's inherent childhood fears - of spiders that seem huge and terrifying, of flies that blot out the sun and stagnent water that contains nothing but death and drowning. 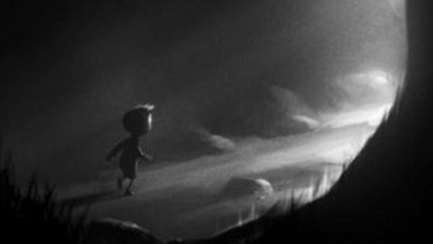 There's more than a hint of Lord of the Flies here and even though there's no dialogue, or narrative other than the images on the screen, Limbo powers through its opening movement with the force usually reserved for moody silent films like Metropolis. The puzzles themselves are equally effective - each linking the following section or story-based silhouette with purpose and meaning. I was never taken out of the minimalist atmosphere by moving crates, toppling rotten trees or jumping over bear traps. Nothing felt disconnected or contrived as some of the puzzles in Braid, until the game moved from the woods and grasslands into modern buildings. 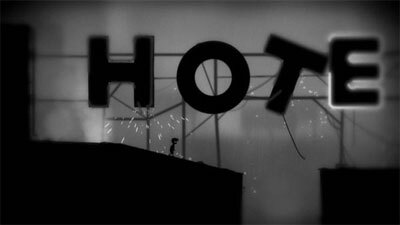 It's at this point that I felt Limbo change distinctly from telling a story to stretching out its few hours with needless puzzles that lacked narrative relevance. 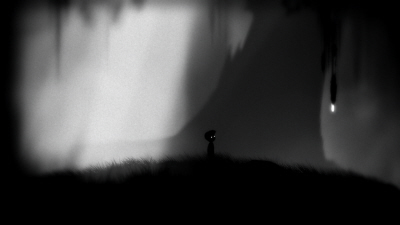 It's at this point that I felt Limbo change distinctly from telling a story to stretching out its few hours with needless puzzles that lacked narrative relevance. 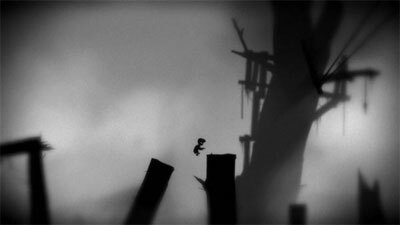 Spending the final two hours inside a succession of sawmills with increasingly complex gravity-switching puzzles and tasks that required absolute critical timing really diluted the possible meaning Limbo could have finished with. 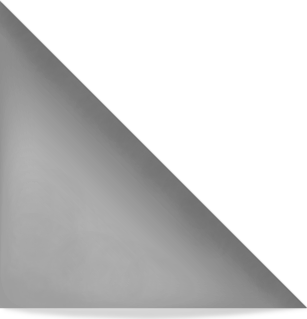 The middle point of the game, which sees you falls through glass (a fatal car accident perhaps? ), and lying once again on a grassy hillock was a missed opportunity. 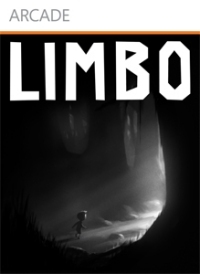 Limbo is on the outer edge of hell and I was half-expecting the game to repeat itself at this point, sending you back to the start to play through the best part of the game with a few added wrinkles. 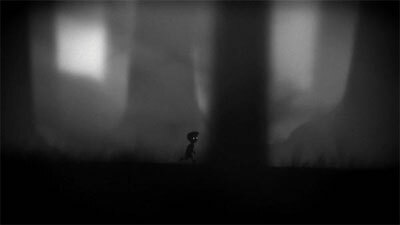 It would have been a brave decision, one made in the sacrifice of the game's artistic vision, but one that could have saved Limbo from descending into a directionless platformer. 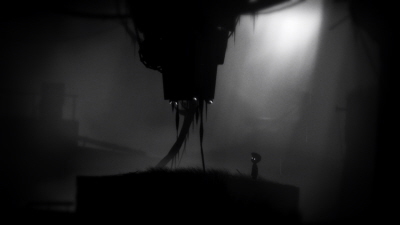 Sadly its insistence on developing the puzzles rather than the boy's journey fills me with a sense of lost opportunity rather than a fulfilled artistic vision..
That isn't to say there's no value in Limbo's final half. If you love puzzles then its complexity rewards your efforts with more interesting challenges as it winds towards its abrupt conclusion. There are still subtle pointers as to where the boy's journey is going but it lacks the purpose or meaning of the opening half that resonated so much with me. 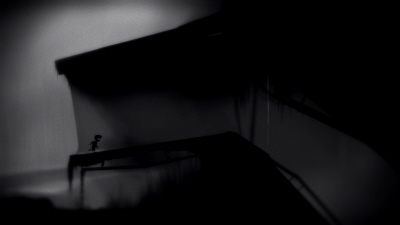 If it had kept the story in mind throughout Limbo could have been truly special, significant even. Even the thought of the early stages still gives me goose bumps - so effective is the moody atmosphere at conveying meaning. Sadly, its insistence on developing the puzzles rather than the boy's journey fills me with a sense of lost opportunity rather than a fulfilled artistic vision.